Mounts to 22.5" diameter wheels using an expansion ring which mounts in outer lip of wheel. 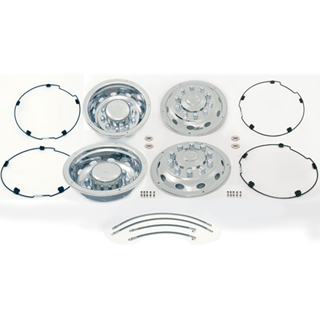 Phoenix USA Inc. Quick Cover universal ring mount simulators with polished stainless steel finish. Front pop out centers allow access to hubs. Rear simulators are deep dished. 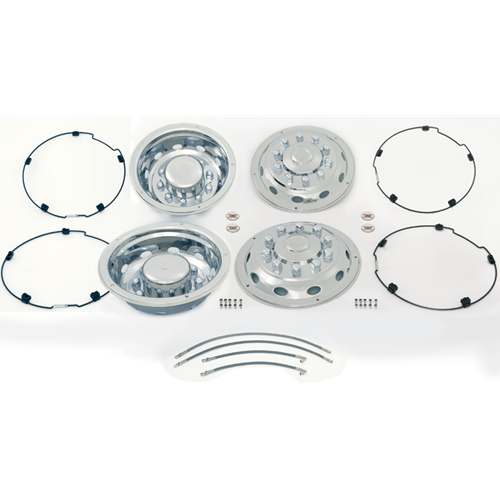 Set of 4 wheel covers including rear valve extentions, mounting hardware, installation tool, and instruction sheet.